...with a surprise around every corner! Ox Pasture Hall country house hotel is privately owned and recognised as the best luxury hotel in Scarborough. Ox Pasture Hall is one of todays new breed of luxury country house hotel, something different, fresh, very romantic, yet oozing rustic style and charm. A warm and welcoming country house retreat, where you will be looked after from the moment you arrive, until the time comes to tear yourself away. 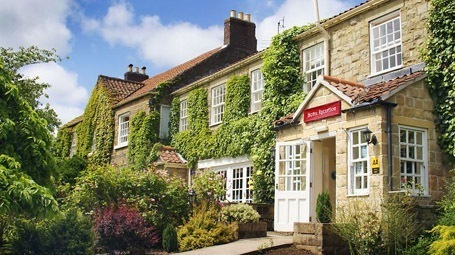 Located near Scarborough in the historic North Yorkshire Moors, the hotel is close to the sea and in easy reach of Filey, Whitby, Helmsley and York. Ox Pasture Hall is set in seventeen acres of its own picturesque grounds and offers a haven for peace and respite from the frantic pace of modern day life, yet the busy seaside resort of Scarborough is only a couple of miles away. Here you can enjoy the heather filled moors, scenic dales and the spectacular heritage coastline, all within a few miles of this superb luxury hotel. The award winning courtyard restaurant offers guests the chance to try to something different, with a tempting selection of modern British food, that will leave a lasting memory. The food really is superb! Widely regarded as the best restaurant in the Scarborough area. Guests can take their pick from a cosy room in the main house, ground floor room set around a beautiful wisteria clad garden courtyard or spacious outside cottage suite. Many rooms feature stunning views of the Yorkshire Moors. All of the rooms are different and everyone has their favourite! Scarborough has been a holiday resort for over 350 years and is considered the world's first seaside resort. If you are visiting North Yorkshire, a trip to the seaside is a must and Scarborough is the perfect place for it. Scarborough offers twice as much beach as most holiday resorts, with its two bays, each with its own very different character. The South Bay glitters with amusement arcades, ice cream parlours and shellfish stalls, while the quieter North Bay, just a 20-minute walk around the glorious Marine Drive or a 10-minute ride on one of the regular open-topped buses, offers a relaxing and nostalgic day out. Perched high above the bay is Scarborough Castle, a former medieval fortress that dominates the harbour, beaches and elegant Victorian Esplanade. The Yorkshire coast stretches from Spurn Point to the south, up to Saltburn-by-the-Sea in the north. This unique stretch of heritage coastline boasts a number of gorgeous and very different seaside towns and villages, from the traditional resorts such as Whitby, Bridlington, Filey and Scarborough, to the picture perfect fishing communities at Runswick Bay, Staithes and Robin Hood's Bay. The Yorkshire coast covers some of the most beautiful countryside in the UK, from dramatic sea views to quiet country villages and moors. If you want a holiday full of variety, the Yorkshire coast has it all. 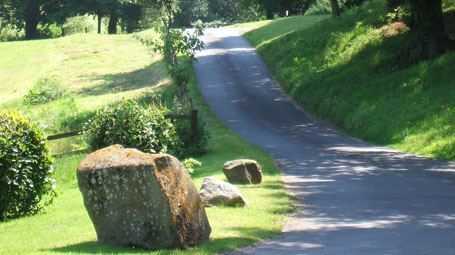 Head north or east from Scarborough, and within minutes you're in the North York Moors National Park, with game birds, curlew and deer. The Yorkshire Moors is one of the most stunning landscapes in the UK, it will simply make you stand and stare. Here you can experience the vast open Yorkshire moorland, listen to the upland birds, walk for miles or just sit and watch the world go by in this beautiful part of North Yorkshire. Go south to the Wolds and there is a chance of spotting a magnificent red kite, and the world famous Bempton Cliffs, bustling with puffins and gannets. Just inland of Scarborough, you can find the Forge Valley Nature Reserve, with its ancient woodland. Scarborough is also proud to have some of the best walking and cycling routes in the country, and the surf's so good, that the biggest event on the Pro Surf UK circuit has been held in Scarborough for the last few years.